Taipei, July 4 (CNA) Premier Wu Den-yih inspected touristfacilities on scenic Gueishan Island, also known as Turtle Island,off the coast of northeastern Taiwan Sunday. Accompanied by Tourism Bureau Director-General Janice Lai, Wufirst embarked on a dolphin-watching cruise in waters off the coastof Yilan, where some 1,000 dolphins could be seen swimming andleaping out of the water. The premier then went ashore on Gueishan Island, where he wasbriefed on the island's tourism facilities and development plans atthe Northeast Coast National Scenic Area Administration (NCNSAA)office on the islet. Wu lauded the quality of the dolphin-watching cruises and guidedtours of the island. Commenting on Yilan Magistrate Lin Tsung-hsien's proposal thatthe NCNSAA's jurisdiction area be expanded to cover his county'sNanfangao region and that the second phase of land expropriation fornortheast coast scenic area development be extended to include thecounty's Toucheng Township, Wu said the central government basicallyhas a positive outlook toward the proposals. "As long as the proposals can enhance the beauty and magnificenceof our northeastern coastline and facilitate the region'sdevelopment, the central government will throw its full supportbehind them," Wu said. Addressing Lin's complaint that the central government has notoffered sufficient financial aid for the ongoing Yilan InternationalChildren's Folklore and Folkgame Festival, Wu said the countygovernment did not make any requests for money to either the Ministryof Transportation and Communications or the Council for CulturalAffairs. The festival is sponsored by the opposition DemocraticProgressive Party-controlled Yilan county government. Wu said the central government has in the past supported manylarge-scale international activities organized by the Yilan countygovernment and will continue to do so regardless of the partyaffiliation of its magistrate. 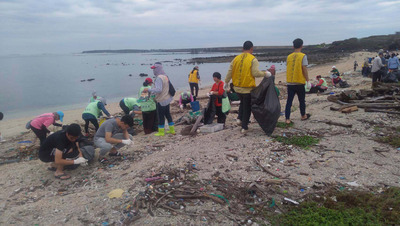 Gueishan Island was formally opened for regulated tourist visitsin 2000 as a maritime ecological park. From April through November,up to 500 tourists are allowed to visit the island daily on weekdaysand 700 on weekends.